Agree Terms: Initial term for 5 years with 3 rights to renew. Number of Units: Corporate offices in Australia, New Zealand, UK and US. Valenta BPO is a multi-faceted company that provides outsourced staffing solutions for a number of businesses across verticals. A global company, we currently help hundreds of businesses across Australia, New Zealand, United States, Canada and United Kingdom cut costs and improve efficiencies by outsourcing their non-critical tasks to us. This enables them to become competitive and increase profitability. We are currently offering entrepreneurs and industry specialists an exciting outsourced staffing franchise opportunity. Due to the varied nature of our services, our franchise is perfect for anyone with good knowledge of any industry. 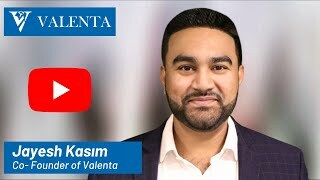 Our unique franchise model has our franchise owners focusing exclusively on growing their franchise while Valenta takes care of all operations. The flexibility offered by this allows our franchise owners to initially develop their franchises part-time until it becomes profitable enough to make the switch to working full-time. This combined with a low start-up cost and global recognition makes this a great opportunity for anyone looking to own a successful business. If you’re looking for a B2B franchise opportunity, apply now.